McArthur’s Fart – What’s Poetry Got to Do With It! The fart – stuff of malodorous classrooms and smutty school-boy humour. Silent and deadly or trumpeting loud and clear the fart has been a recurrent theme in many a great literary work. From Iain Banks to Joyce or 17th century philosopher and writer John Aubrey invoking “the drama and tragedy of a slipped fart”, descriptions of this common bodily emission have found their way into the pages of prose and verse through the ages. And, the fart has been a frequent theme in the Australian “Bush Poetry Tradition”. The late Ted Simpson, who by the way I believe was one of the best reciters in this style, had a few good poems on farts. A 1722 pamphlet titled “Arse Musica” identified fifty-two women for their “prowess in farting”. Perhaps this was the inspiration for the Ladies Farting Contest, a poem that Ted delivered so well. Another of Ted’s signature pieces was a poem of epic proportions titled McArthur’s Fart about the day McArthur farted and saved the town from drought. But, what do the National Folk Festival and McArthur’s Fart have in common? 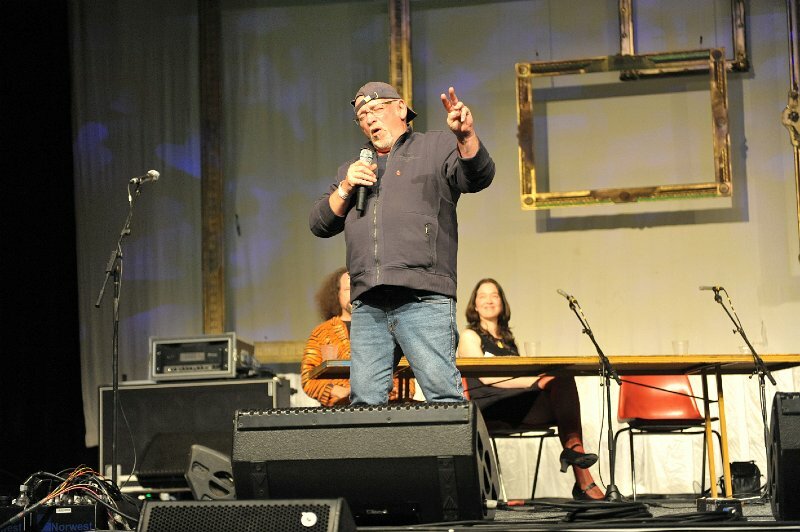 The National Folk Festival has a long tradition of spoken word. From its Poets’ Breakfasts, to its “Bush versus Slam” and late night Poetry “Last Suppers” poetry fills venues. The National’s most famous Spoken Word word event was the “World Poetry Debate”. It began around 1996 and by 2001 was so popular it had to be moved to the festival’s largest venue. More about wit and clever tom-foolery, it was a much anticipated part of the Festival program. The event did not occur in 2012 and then went into hibernation. 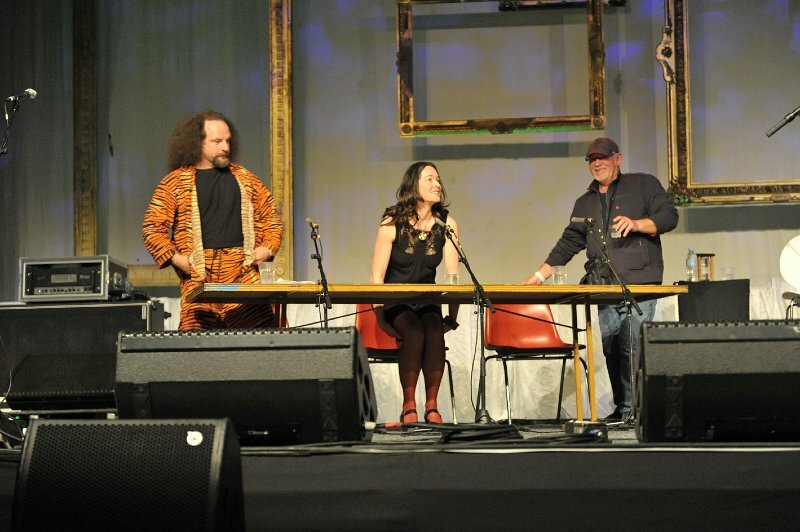 The last World Poetry Debate at the National Folk Festival was held in 2011 (pictured). Now, I am pleased to announce that The World Poetry debate will be back at the National in 2015, led by those much revered protagonists Martin Pearson and Roger Montgomery. More will be revealed soon but I can tell you that it WILL be in the Budawang and, it WILL be held on Sunday evening. And of course, its much coveted trophy has also been in waiting, festering away in a Vegemite jar to be bestowed upon the victors. It’s none other than “McArthur’s Fart”, trapped for all eternity. A rich prize indeed! The National Folk Festival takes place over Easter 2 – 6 April 2015 at Exhibition Park, Canberra, ACT. A range of ticket options are available from individual days to season passes (whole weekend) and camping packages. Full Price Season Pass is $345 ($465 including camping package) but you can snap up a bargain and save a truck load of money by taking advantage of Early Bird specials and Package of Days discounts available through until 30 March 2015. Why not treat yourself and three friends to the World Poetry Debate and more. With Package of Days you can pick up 4 day tickets for not much more than the price of three. For more visit our website. 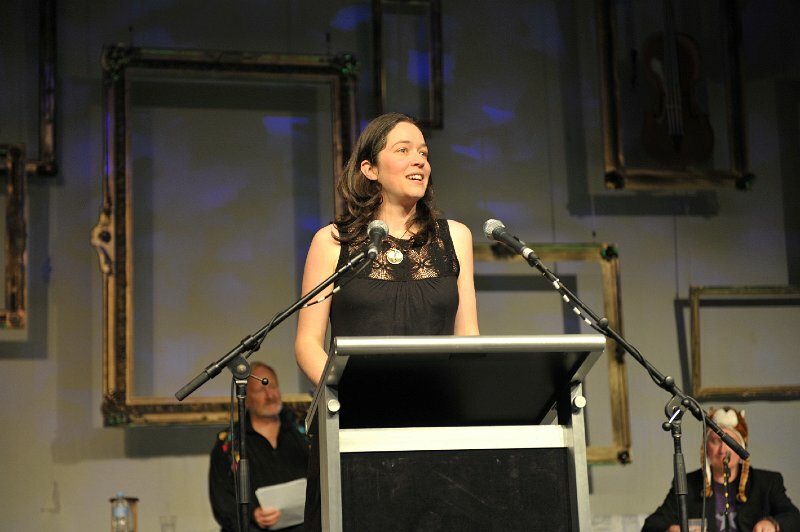 Pam Merrigan is the Festival and Artistic Director of Australia's National Folk Festival. In addition to overseeing the event's artistic program Pam leads the year round operations of the organisation including strategic planning, stakeholder management and delivery of the annual Festival. A professional musician, music educator, and radio broadcaster Pam has had a life long and passionate engagement with the folk arts having worked successfully with a broad range of individuals, groups and organisations as facilitator, administrator, educator and performer. This entry was posted in festivals, folk, National Folk Festival, poetry, spoken word and tagged debate, Martin Pearson, poetry, Roger Montgomery, world poetry debate. Bookmark the permalink.